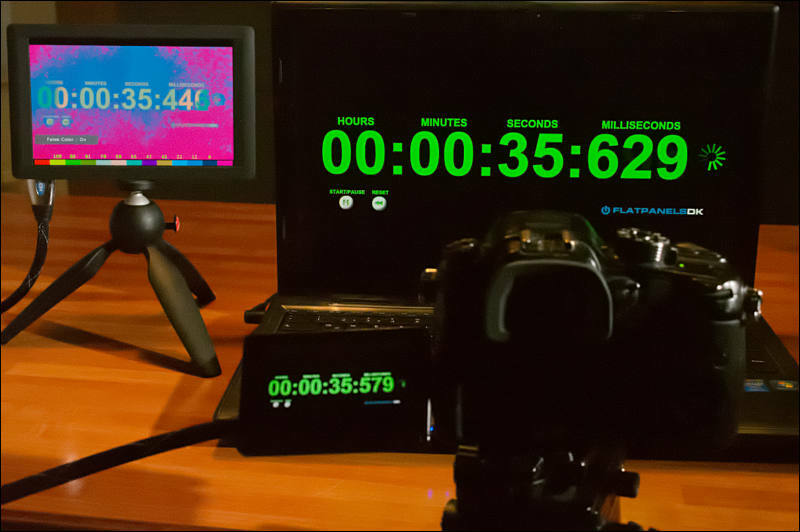 Peaking, Check Field, Image Flip, Color Temperature, Underscan, Audio Meters. NWLP-E6 Type Battery Plate: For Canon 5D Batteries, note - it is default, most probably you need Sony one! Shipping: Price already includes shipping for US/Canada/UK/Australia&NZ/Western Europe. Contact for any other regions. I want to buy this monitor. Just got my CT710HO monitor. Shipping was ridiculously fast (a few days from China to Korea). I've been using the Ikan V7Ki, and I just needed a higher res monitor that could accept 4k inputs to do pixel to pixel. Basically, I just needed 7" full hd monitor to focus accurately without stuff like prores recording and touchscreens. This keeps the weight, size, and price pretty low. 5" is too small for me now :). Since I don't need to use a lot of features, I actually prefer having fewer buttons. I'm also happy to see they included guides for different aspect ratios. Not a super advanced feature, but you'd be surprised how many monitors in this price range don't have that. I like how the hood attaches with thumb screws. I don't like using velcro too much, so it's a nice touch. Just for everyone's information, the big hood has velcro flaps used to connect the bottom piece. Took me awhile to figure that out, but it's nice to have all sides covered to maximize visibility in sunlight. The screen lag is noticeable, but not a deal breaker. This might be a problem if you do a lot of tracking shots of quickly moving subjects, but it's fine for 95% of my cases. Overall, this perfectly suits my needs because it doesn't have a bunch of features I don't need. With the GH5 recording high bitrate 10-bit video, I don't think I'll need external recording anyways. PV Lab report, Part 3, Monitor panel brightness and contrast. We get 300cd/m2 Brightness, 1800:1 Contrast specs from panel manufacturer and check the reality. 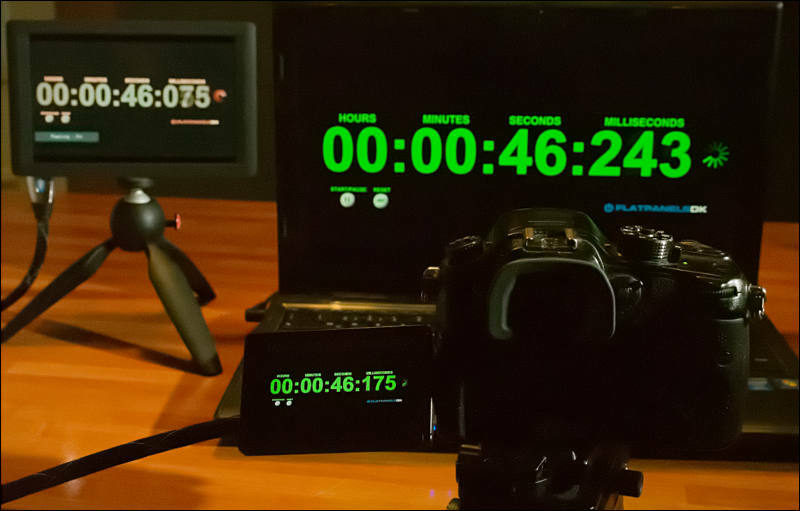 You need to compare only camera monitor and 7" monitor and check difference. 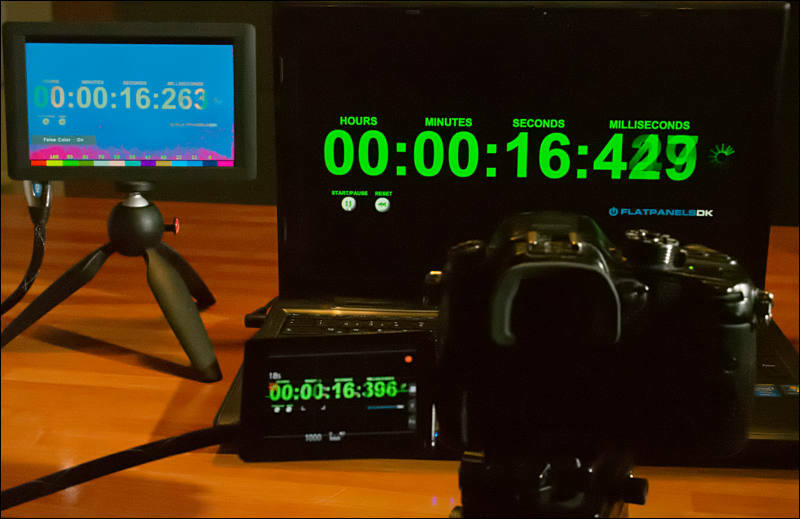 Note - camera monitor numbers harder to see due to reduced refresh rate. I don't see any firmware updates listed on their web site. Assuming you get a monitor without the buggy firmware, this monitor is well worth the price and I recommend it. They do provide update upon request. The Neway CT710HO is the least expensive 7" on-camera monitor with 1080p or higher resolution, so my expectations weren't very high. But the image looks quite nice, with pleasing and accurate color. A lot of things are highly configurable, like guides, aspect ratio, flipping, zoom ratio, and peaking sensitivity. 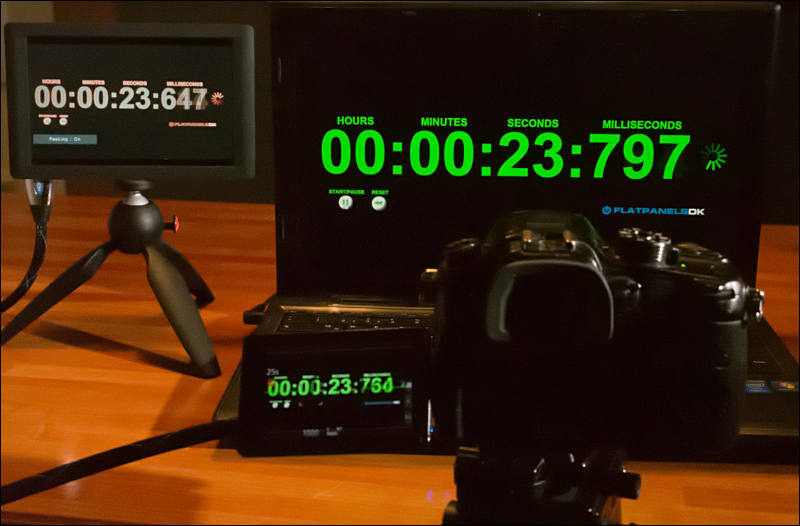 The monitor accepts a 2160/30p signal, which is great for focusing combined with the 1:1 pixel mode or zoom mode. The monitor is very light for its size, which I really appreciate. The monitor has four quarter-inch screw holes, one on each side, but I don't trust their strength. I recommend using an aluminum L-bracket, or a pair of them to make a yoke, to mount the monitor via two or more of its holes. The backlight on my unit has a hot spot near the edge that's obvious when the image is very dark. It's not terrible, but a little disappointing for a monitor this expensive. A couple of times the display inexplicably started flickering when powered on, the flicker gradually subsided after a few minutes. I recommend the Sony L-type batteries over the Canons, because you get a choice of capacities, and your batteries will work in other things like portable LED lights. My 4900 mAh Wasabi battery lasts hours and is probably overkill. Having used a similar Neway 5" 1080p monitor before, the size of the 7" is very nice. 1080p is wasted on a 5" monitor. 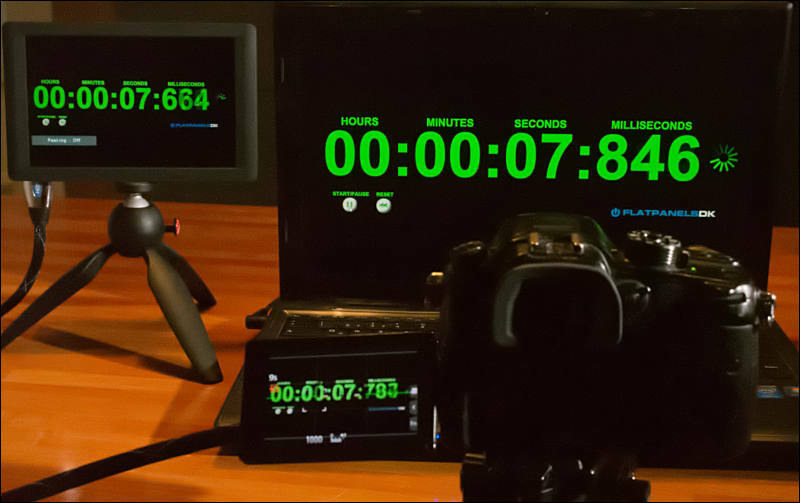 Older versions of the Neway CT710HO monitor had buggy firmware that would make 30-fps and 60-fps signals jerky. It was as if the frame rate was being reduced internally. The problem was fixed in later versions of the firmware, but I don't know if any of the monitors shipping now might have that buggy firmware or if Neway actually provides firmware updates. I don't see any firmware updates listed on their web site. Assuming you get a monitor without the buggy firmware, this monitor is well worth the price and I recommend it. @scotchtape, you can adjust the zoom level. After assigning zoom to a function button, hold down that function button for 2 seconds to open a zoom menu. See AKED's function test video. It's also possible to have multiple functions enabled at the same time, even though there are only two function buttons. Maybe not all functions can be used simultaneously, but many of them can. See AKED's video. Pixel-to-pixel and zoom cannot be used at the same time. They are mutually exclusive, by definition. They both render plenty sharp if you feed the monitor a 4k signal. If you feed it a 1080p signal and then zoom, of course it's not going to be as sharp. Screen starts up relatively fast and connects to my D750 well (Aputure finehd takes forever to turn on). Color is ok but a bit dull out of the box (I didn't try to adjust it) but accuracy is "not bad". Can't have multiple functions on at same time, for example histogram and crop, or pixel to pixel and zoom etc... If I set p2p on, then zoom in, when I zoom out it returns to default. Zoom function is ok and useable, but it doesn't render sharply. You focus until it is "sharpest" if you know what I mean. Histogram didn't match my D750 and doesn't help determining blown highlights, also clip function didn't work well for me either. NO menu functions for... functions! You have to map a function (like zoom, peaking etc) to F1 or F2, then press F1 or F2 to engage. If you want a different function you have to assign a new function to the buttons... which also ties in to previous point about not being able to have certain functions on at the same time. Overall it's ok for what I am using it for. It helps me to focus on the move. But if pressed, the 1/3 price FW759 probably does the same thing even though the screen is crap. Perhaps the even more expensive Feelworld G55/G70 will work better... but who knows without seeing the actual screen and using it. Unlike @AKED, I didn't find peaking to be very helpful for my purposes (like most cheap monitors I imagine). It is probably fine if you are shooting at F4 on crop sensor, but for F2.8 on FF it is not helpful for critical focus. Vitaly got it shipped to me quickly so thanks. I will continue to use it for now. I am not excited about this monitor but I do not hate it either. It helps me focus so I won't complain! 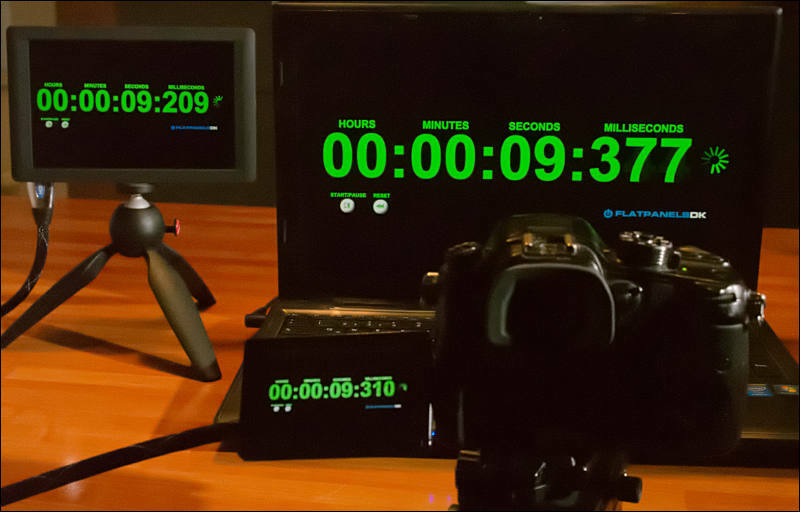 I keep thinking of getting Atomos Ninja Flame just for monitoring but... I just can't justify the cost. @AKED, thanks for your excellent function test video. Good monitor. And lots of features. Looking forward to get one. Price here decreased recently and I saved almost enough. I will soon do another video, where the focus peeking can be seen better. In this video, the focus picking was filmed on 12 mm 2.8, which is the reason, why so many areas are in focus. 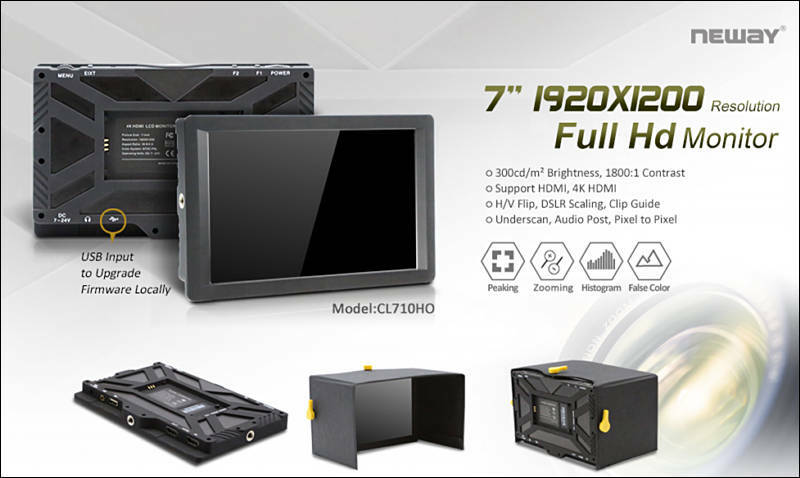 Here is a review about the functions of the Neway CT710 HQ 7" monitor. @Neirotransformer The monitor is great is sunlight. Even with all settings only on 50% is is a good picture. Using it, I will try it on the weekend with a gimbal. We will see. On a tripod no problems. I have shoot some of the review but will do some more next week. AKED, i'll be happy to see how this monitor performs in bright day. how does it feels 7 inch size field of view for handled shooting? not too large? Soon there will be a video, where I show all the features of this nice monitor. But it's not as bright as the CL76 or the CT700, right? Yep, note that 300-450 nit is not so big difference, if you properly use monitor. For real outdoor (with sun) or steadicam monitors you need above 600, and preferably at 1000-1200 nits. As far as I know panel quality is closer to CL76, it means that it is better than other 1280 monitors. As for contrast ratio - I think it will be so if you put panel in quite dark place (as with TVs or any other contrast measurements). Does this actually have an 1800:1 contrast ratio? 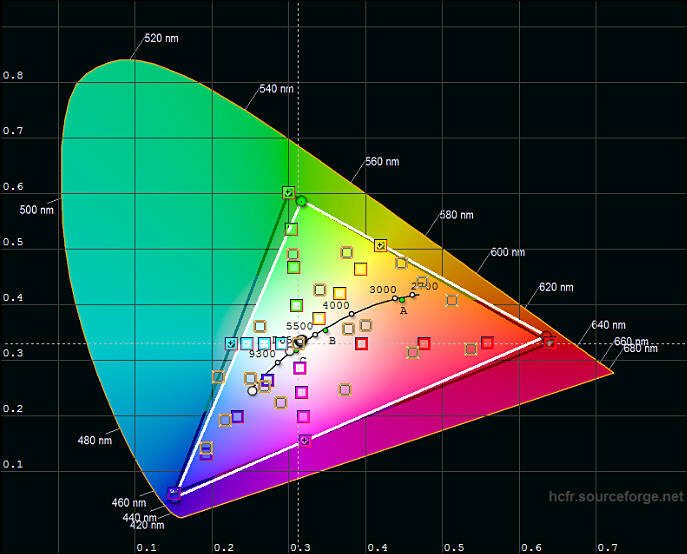 How does the contrast and color reproduction compare to the CT700HO? How much for extra battery plates? Do not know for now. Usually people just select one they like.